Feature updates are offered to upgrade your Windows 10 version. This article will show you, how to block feature updates in Windows 10, if you don't want. ATM, Microsoft follows a schedule of releasing two feature updates in a year. This year, Microsoft offered Creators Update (V1703) and Fall Creators Update (V1709) to the customers. These feature updates are quite massive in size and contains a lot of patches, new feature and security definitions in them. They take long time to download and install, as compared to normal Cumulative Updates, that are offered more frequently. Sometimes users may feel comfortable with their existing version and is not in the favor of installing newer feature update. But as the Windows Updates are installed automatically, user have very less choice to skip the feature update. And as it is feature update, Windows also gives it paramount importance and keeps downloading it again and again, if it fails once. So how do you block a feature update when you don’t want it? Well, there is no direct way to avoid feature updates and you need to do some workaround to do so. Show or hide updates tool is an awesome tool to skip updates. Using it, you can also skip feature updates as well. When you hide feature update using that tool, Windows will no longer attempt to download the same update and skip it forever. If you still couldn’t block the update, you can try alternative registry method mentioned below. 4. Finally, set the Value data as 1 and click OK. Close the Registry Editor and reboot the machine to make changes effective. This should finally block the feature updates on your Windows 10. [Latest Windows Update] What’s New In KB4493509? thank you. the hide updates should do the trick, hopefully for a bit anyways. wushowhide.diagcab only shows that I can block an update of Silverlight and a definition update for Defender, but it’s not showing the Feature Update. 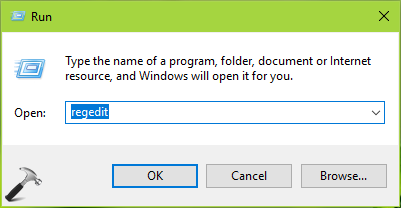 Regedit didn’t have a WindowsUpdate key (maybe it doesn’t exist in Home edition?) so I created one, but it hasn’t blocked the update. Any more suggestions would be welcome! ^^ I believe feature updates ignore metered connection settings. wushowhide.diagcab must show all available updates, can you please recheck. Hi Kapil, Thanks, yes I have run wushowhide.diagcab several times (both with Advanced… Apply Repairs Automatically checked and unchecked) and it never shows this feature update, just the “Microsoft Silverlight KB4023307” is still there, but I was able to install the Defender def update through Defender itself. The Windows Update page in Settings still says the “Feature update to Windows 10, version 1809” is pending download. I suspect it will stay like that as long as I stay on WiFi metered connection with my Active Hours set nice and long.